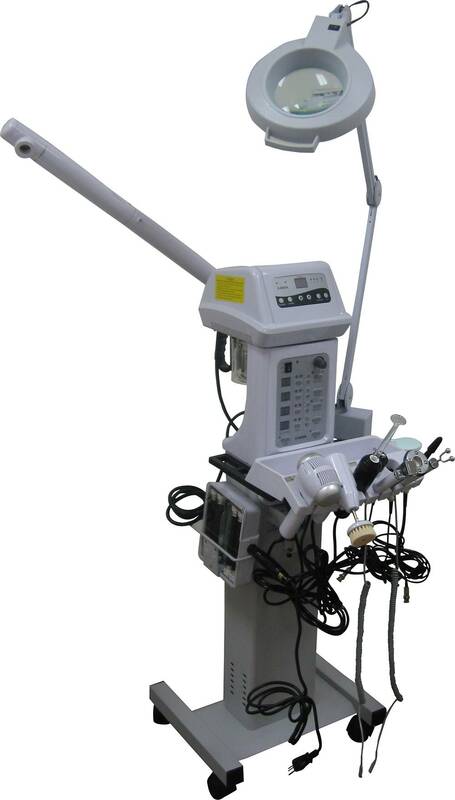 Multifunction facial machine includes ozone facial steamer, Wood's lamp, wrinkle remover, vacuum, spray, high frequency, galvanic machine, massage brush, spot remover, hot function treatment, cold function treatment, 5 diopter magnifying lamp, and vacuum suction therapy. This thirteen function facial machine is great for any skincare room. This skincare unit will give you more treatment options for your clientele.